The Apostle Philip: "He Invites Us to Come and See Jesus"
Philip was from Bethsaida. He was the one who announced to Nathanael that he had found the Messiah (John 1:45-47). He also intervened in an episode with some Greek pilgrims to Jerusalem who were wishing to see Jesus (John 12:20-36). He is also the one who asked the Lord, in the cenacle, to show them the Father (John 14:8-11). 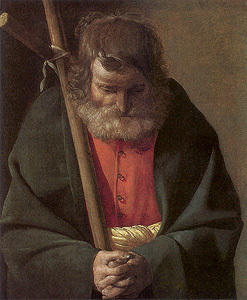 He is listed fifth among the apostles.